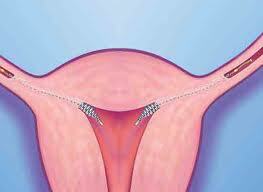 In this method of tubal ligation, two small metal and fiber coils are placed in the fallopian tubes. After insertion, scar tissue forms around the coils, blocking off the fallopian tubes and preventing sperm from reaching the egg. Click here to watch a video about Essure Reversal at NCCRM. If you are experiencing negative side effects from an Essure and want to have the coils removed and not reversed, please read more here.